Review submitted by Lataran B. - Dec 09, 2017 |Recommended: YesIt's a great place to live. I come home late from work and I feel very safe. A peaceful community, with a secure feel of living. submitted by Victor S. - Nov 25, 2017 |Recommended: YesI enjoy the quietness of the community, and the community events that continue throughout the seasons. Kudos to Travissubmitted by Lynn P. - Oct 06, 2017 |Recommended: YesOf the maintenance people I have met which are few Travis is the most outstanding, friendly yet professional person I have experienced. He is attentive, caring and extremely efficient. Island in the crazy world.submitted by Laura M. - Jul 31, 2017 |Recommended: YesIn a lot of ways it is like living in a hotel. All the amenities and the Great Barking Mad and other food spots, you may never want to leave home. But if you do, so easy to get to just off 270, can be in Frederick or Downtown Bethesda in 20 min. This property is very appealing submitted by Betty E. - Jun 02, 2017 |Recommended: YesI am very pleased with the customer service that I receives. The staff is very nice, cooperative and accommodating. 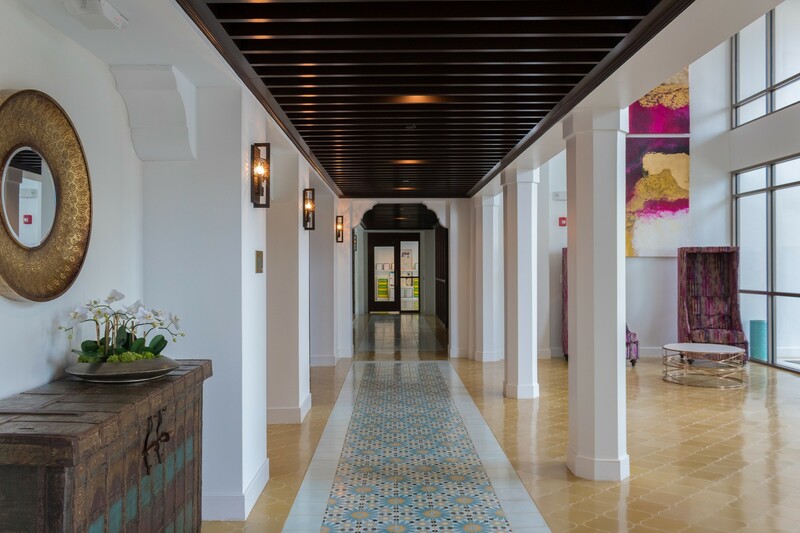 The property looks spectacular inside and outward appearances. I would recommend this property to anyone. response from property - Jun 02, 2017 Thank you for your kind words. Our job is to make sure everyone's needs are met, whether they live among the community or nearby! Maintenance Callsubmitted by Darryl Y. - Jun 01, 2017 |Recommended: YesI had an issue with my AC unit. The maintenance staff took care of the issue and explained the process along the way. They were kind and polite. I appreciate their service and they are an asset to our community. response from property - May 31, 2017 Thank you for being part of our growing family here at Spectrum! Excellentsubmitted by William . - Mar 02, 2017 |Recommended: YesWe really enjoy living here. The staff are very helpful and professional, when we've entered a work order it's taken care immediately and the grounds are kept clean. As for the amenities we are truly enjoying our stay here. We hope to renew our lease for a third year and continue to make Paramount apts are home. Thank you to the staff for your hard work and for making this place our home. Very Nice communitysubmitted by Priscilla H. - Mar 01, 2017 |Recommended: YesThe pros of the property is it is a nice experience, the area, amenities and units are very nice. I also like the activities to foster a sense of community and look forward to more. For the most part, the management team is fun. As long as all is well in my unit and on the property I am comfortable. The cons When I have to interact communicate with management and the property team, I don't feel like I as a resident am being heard or am important. 99 of the request I have had has either not been addressed or has been no. The Management Leasing team can seem a bit dismissive and not very attentive at times. I think the management and leasing team are very important aspects of rental living especially since tenants pay good money to rent - . Overall, I like the property. I hope to be able to live here comfortably for years to come. The management and leasing team are just as important if not more, as the property grounds etc. and has a lot of room to improve in this area. Great place to livesubmitted by Arun M. - Feb 27, 2017 |Recommended: YesIf someone were to ask me what it's like living here, I would tell them it's luxurious. 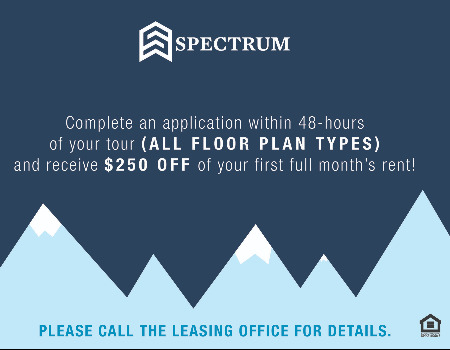 The spectrum provides beautiful apartments in a self-contained, very livable neighborhood. Apartments are clean and well designed. And there are great restaurants on site and nearby. response from property - Mar 08, 2017 Thank you for your kind words Mr. Arani. We are happy to say that you will always be a part of our family here at Spectrum!